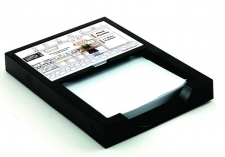 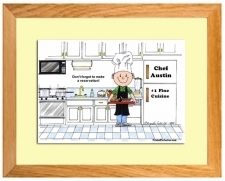 This cartoon makes a wonderful personalized gift! 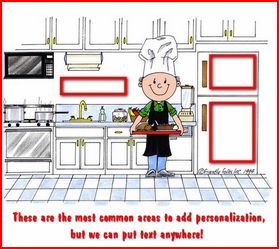 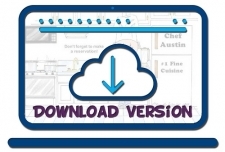 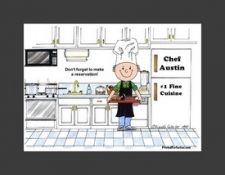 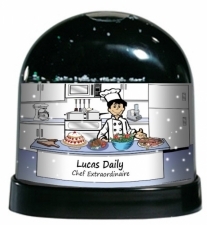 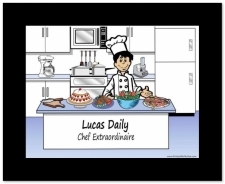 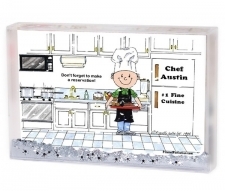 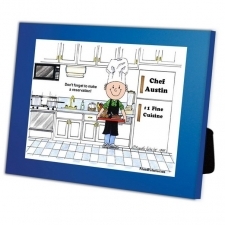 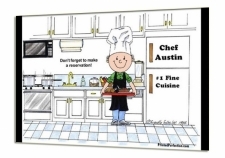 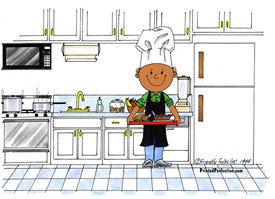 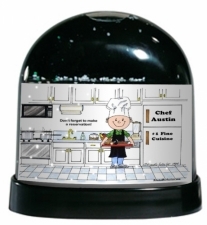 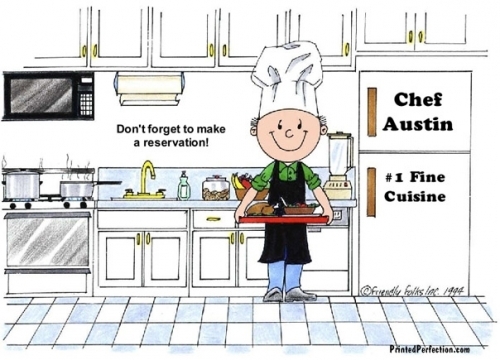 Available with or without a hat, this cartoon caricature of a chef can be personalized just for him and added to a variety of media - refrigerator magnet, key chain, snow globe, coffee mug, cutting board, pot holder/oven mitt and more! 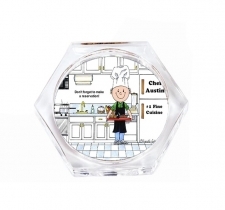 Since he is wearing a hat in this caricature the hairstyle cannot be changed, however we have this cartoon available without a hat, which we can change his hairstyle. 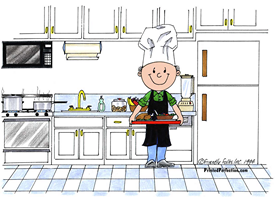 Change the Characters Hairstyle - Not available on this cartoon, because character is wearing a hat, although this caricature is available with no hat, which we can change the hairstyle on.